Reuters reports, “Nestle, the world’s largest food company, has announced its commitment to improving farmed animal welfare across its entire global supply chain — covering over 90 countries — in what may be the most comprehensive and far-reaching animal welfare policy of its kind. The announcement follows the release of hidden-camera video taken by Mercy For Animals at a Nestle dairy supplier in Wisconsin showing workers viciously kicking, beating, and stabbing cows and dragging “downed” cows by their fragile legs and necks using chains attached to tractors.”The Switzerland-based business will evaluate 7,300 of its suppliers to ensure the facilities that house and produce from animals adhere to animal welfare and ethical standards set by the World Animal Protection organization. Part of the reform includes investigation by an independent inspector of Swiss group SGS. This auditor will be responsible for ensuring the supplier’s industrial farming plants follow the new guidelines. 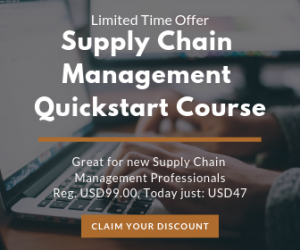 This major change brought about by this top food company could have a sweeping impact on businesses both big and small currently on the market as third-party organizations press for accountability. 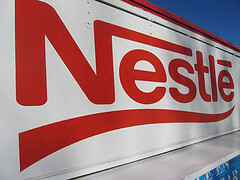 A globally recognized brand such as Nestle has the ability to influence business practices throughout the industry. In the past, other companies have made socially conscious changes based on the advice of other groups, as well. Namely, Oxfam: A human health organization with interest in where food comes from, specifically in the carbon emissions released during transport.